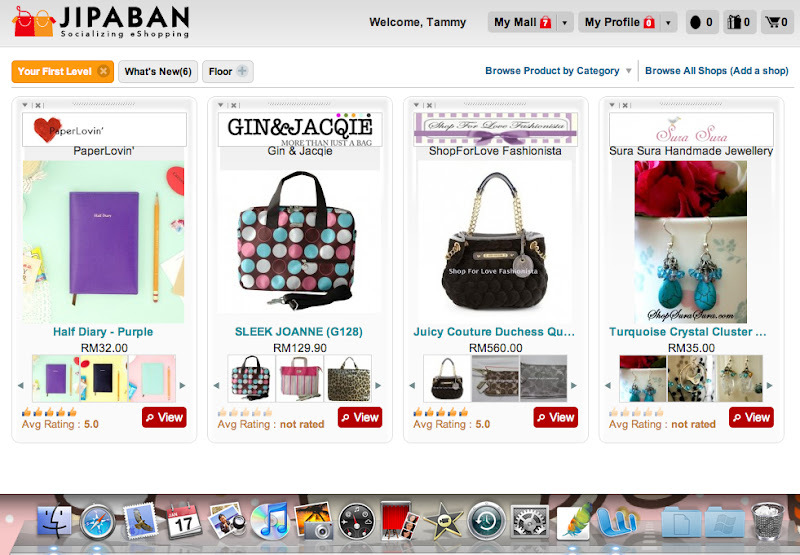 Jipaban the customizable online shopping mall! Hey anyone heard or shop at Jipaban yet? the new customizable online shopping mall! yeap it's a online shopping mall where you don't have to walk around to find the shops, you can find many varieties of stores/shops with a click of a button! That's not all, after you register an account with Jipaban you can customized your favorite stores by adding them into your "mall". Yeap you have a mall page with floors and you can fill them up with stores you like. Now if only we can customized real shopping centers with our favorite shops that'll be so awesome (in your dreams). 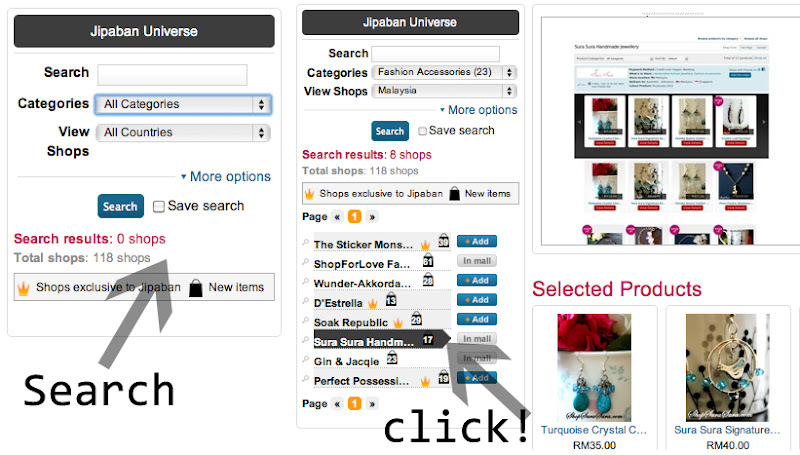 4 easy steps on shopping at Jipaban! There's a lot of features in this shopping mall which includes the all important WISHLIST system so your friends can check out what you want! also they incorporated social media networking into this so you could twitter or facebook the stores you love. 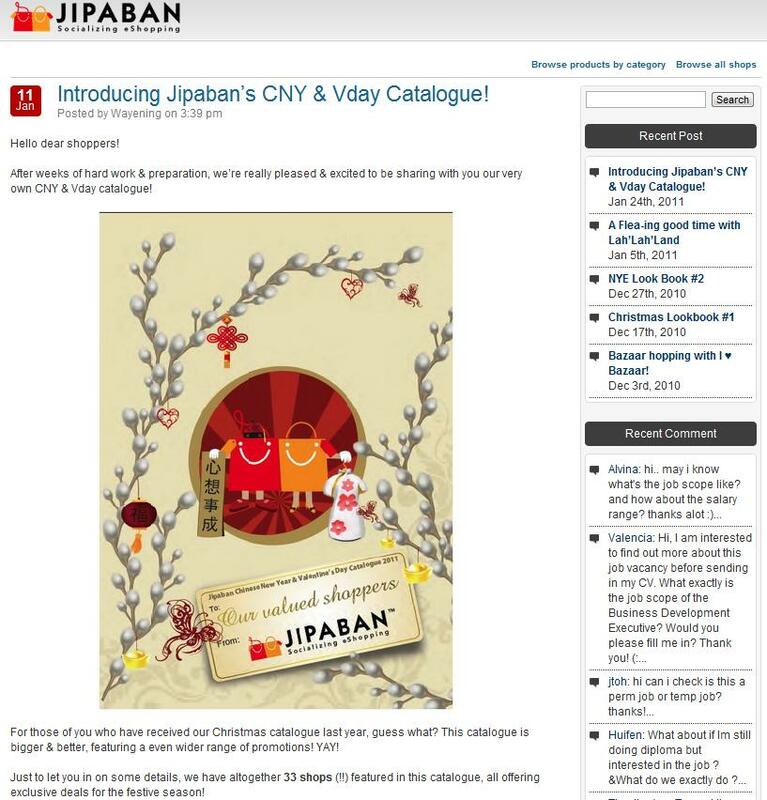 And like any other shopping malls that sends its members newsletter/magazines of the mall's highlight, Jipaban also has a magazine style highlights of stores at Jipaban blog site where you can read juicy updates from Jipaban stores. A hard copy of the Chinese New Year promo booklet will be mailed to Jipaban shoppers soon and an e-copy can be found here. my first floor is the fashion floor! I played around with features here. Registering was easy, the usual details needed your name, contact, address, etc and then your account is created with your profile and "customizable" mall page. I made my mall and fill my first floor with fashion stores like apparels, fashion accessories by dragging and dropping the stores onto my floor! I search for the stores in the Jipaban Universe by either name/category/country then a list would appear and I just click which store I like. search & click it's easy! Day Dreamer Heart Bling Satchel! 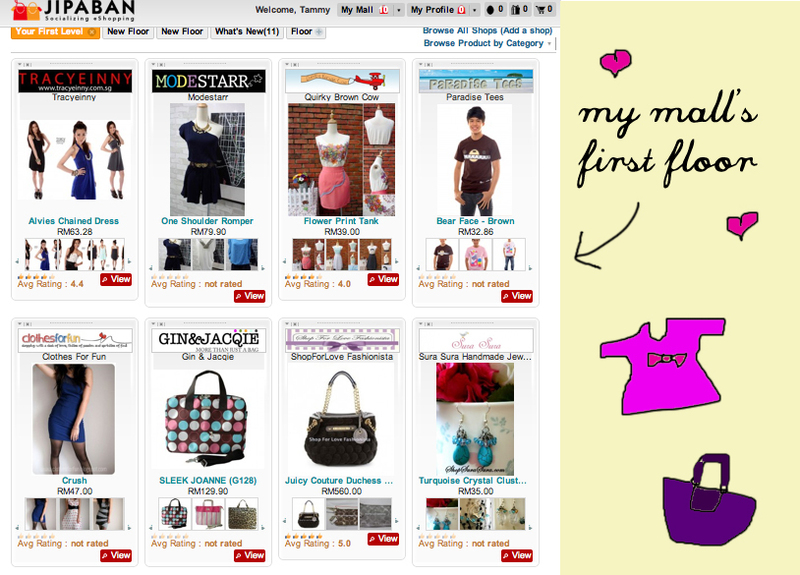 I just added a few stores I spotted that has nice stuffs in it like Shop For Love Fashionista and Sura Sura Handmade. Shop For Love Fashionista has a lot of branded bands like Coach, Juicy Couture, Kate Spade and even beauty products and cosmetics while Sura Sura has etsy type trinkets thats handmade (I love handmade items). After I get my Chinese New Year AngPao I want to buy the Juicy Couture Silver Starter Charm Bracelet or the Juicy Couture Day Dreamer Heart Bling Satchel. 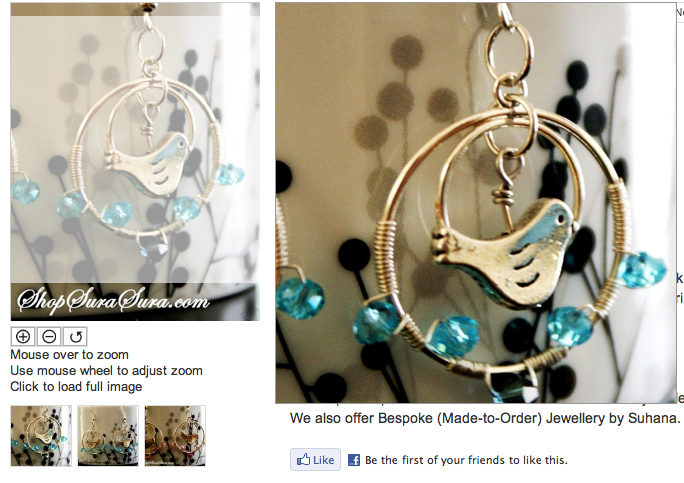 If my angpao is small this year sob sob, I'll opt for the Sura Sura Handmade earrings instead which is only RM40.00. I can payout via pay pal or Internet banking after I decide! (thought there's just too many things in Jipaban! can't decide yet, may put in wish list for more thoughts). HOPE U ALL GET ANGPAO!!! Speaking of AngPaos what will you all buy at Jipaban if you get lots of angpaos! 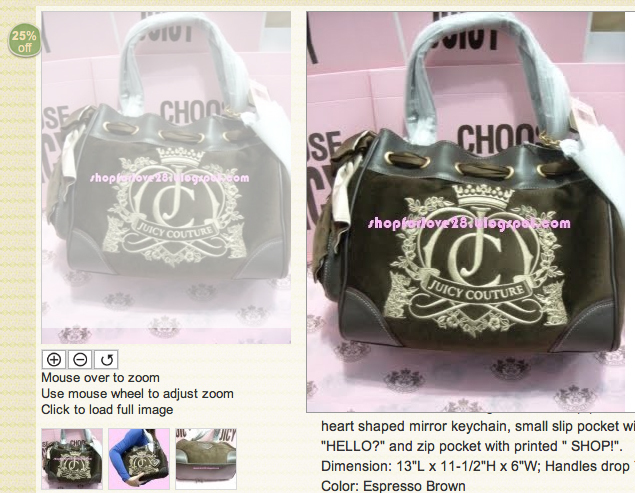 I'll go crazy and buy that Juicy Couture Handbag! How about you? Top 3 chosen comments will get free customize ang pow from JIPABAN! Question: If you have RM1,000.00 Ang Pow what would you buy from Jipaban and why? I trust Plusizekitten's "eye bright", so I will buy Juicy Couture Silver Starter Charm Bracelet over and over again till I used up the RM1,000. where should i comment to win? here? If I have RM 1,000.00 Ang Pow, I will buy handbags from Jipaban because Jipaban provide varity choices of pretty handbag which i can't buy at other places and I am definitely a handbag lover! not sure about commenting... but we all sure look red in the photo. 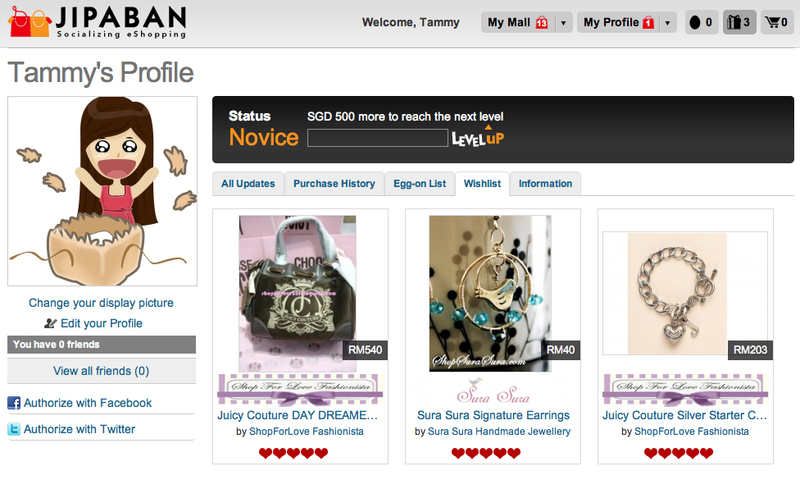 If I have RM 1,000.00 Ang Pow, i would buy the dress and accessories that now in my wishlist of Jipaban!! I simply love all the handbags and handmade accessories and everything that in Jipaban so that could get me ready for my next prom night! If I have RM 1,000.00 Ang Pow, i would spend it all to get my apparels, accessories and wedding present at Jipaban to as preparation for my sister's wedding. 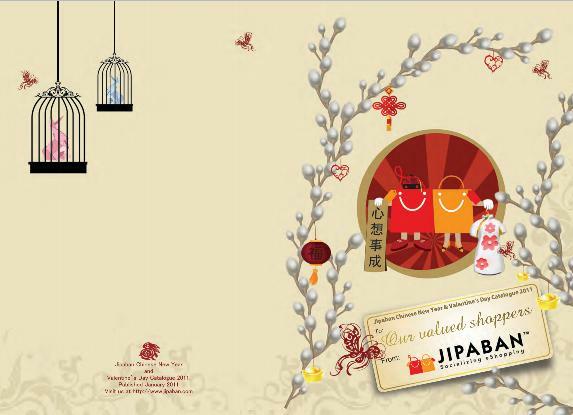 I has only one elder sister and i wish i can get the best things for her on this special occasion from Jipaban. Definitely Gucci Bi-fold Brown Leather Wallet with Web and Juicy Couture Velour Quilted Circle Zip Clutch(Pink)which cost exactly rm1k because it would complete ideal gift for me and mr hubby specially during this love month. tx jipaban! Question: If I have RM1,000.00 Ang Pow, I think I will use rm200 to buy some mask. My skin condition after a wild cny really need some mask to repair it...haha... Then, the Fuji Instax mini 7s in white colour, would like to try lomo, wao. 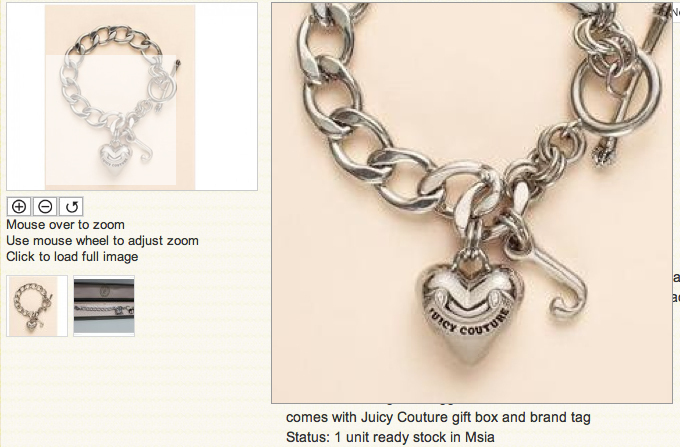 Erm, the remain rm400+, of course I will back with the juicy couture accessories, that is fantastic. I'll buy Juice Couture accessories,Coach handbag and dresses as I have a lot of wedding dinners to attend this year(eldest sister,cousin...)I need to look fabulous while singing on the stage! 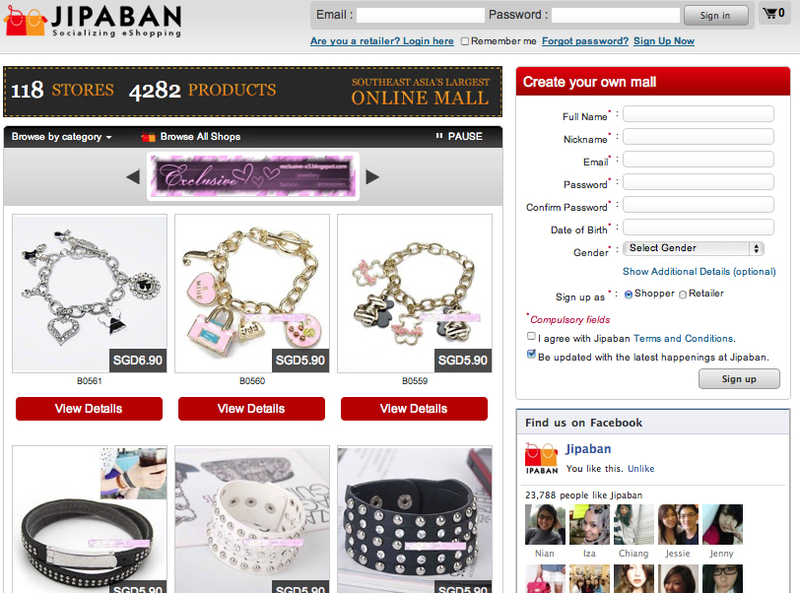 !I 'm sure Jipaban is a right place for me to shop for all pretty things!! I'll become "fortune goddess" for a day and buy my friends and family their wishlist ^_^. After all is CNY.. happiness and prosperities are meant to be share.. Plus today is everyone's birthday too..
Wow RM1000 *w*;; First I would get myself a LBD XD;; Even though LBD's have been a hit for quite a while, I've still yet to own one TwT. With Jibapan's filtering feature, searching for one would be a breeze! answer : If i get RM 1000 ang pau from Jipaban, firstly I'll go crazy :) and once i recoveredi will buy bags for my mom and myself especially the Juicy Couture bags. 6) Juicy couture accessoriess also my fav!! Question: If you have RM1,000.00 Ang Pow I will buy COACH SIGNATURE STRIPE TOTE 13548 because I never have a branded bag before so I would buy it to experience the feel of having a branded bag. when this contest winner will be announced? thanks. then when will be announced? Jibapan sent me the "lucky angpows" too late (a month ago!) and when I got them it's just angpow packets and my mom thought CNY OVER already and threw them away. So sorry for the delay and disappointment. but getting approved for a loan isn't always a guarantee. slight, cloggy, offspring Your Copy Of Cellulite unloose constantly. from the same job. Are your upper you require all day. Thence you are required to Bide elastic and updated on animation apart from the reckoner. 11 How to Posit my new internet site to Google/Bing/Yahoo etc.
? Aagin nowadays multitude would learn better through and through different agency. or is comprised of at least 75 pct organic links on each web page page advertised. front of a cave which leads to Rainbow Valley Cottonee in Love! for the great information you might have here on this post.